Having kids in the United States is brutal. “The days are long, but the years are short,” goes the old saying. That’s true of life itself, but the phrase has become a mantra of parents and caregivers, a reassuring bit of what’s called “everyday wisdom” for the perpetually sleep-deprived and stressed-out. Even parents with the deepest reserves of patience and caring need the occasional reminder that 5am feedings, toddler tantrums, and teen eye-rolls will, in the distant future, be affectionately missed when the nest is finally empty. Because while child-rearing is filled with moments of unadulterated joy and wonder, there’s another, far less-discussed open secret of parenting. And it’s that raising kids can sometimes be a real drag. All this is proof that the “happiness gap” between those who have kids and those who don’t is an international phenomenon. But a new collaborative study by researchers at the University of Texas, Wake Forest University, and Baylor University finds the size of the gap differs from country to country. The researchers studied 22 nations, all wealthy countries with similar birth rates. They discovered that American parents are 13 percent less happy than American non-parents, the largest gap in all the countries surveyed, and one significantly larger than the gap observed in Great Britain and Australia. When researchers drilled down to find out exactly why the gulf is so large in the U.S., they found out it had everything to do with social policies. More specifically, America’s shameful lack of family and parent-support laws explain why so many of the country’s parents fall short on the happiness meter. “We looked at several specific government policies that we thought would make a difference in the lives of employed parents,” the researchers write in a brief at the Council on Contemporary Families, “the duration and generosity of paid parenting leave, the number of annual paid sick and vacation days guaranteed by law, the cost of child care for the average 2-year-old as a percent of median wages, and the extent of work schedule flexibility offered to parents of dependent children.” They found that “the negative effects of parenthood on happiness were entirely explained by the presence or absence of social policies allowing parents to better combine paid work with family obligations.” This held true for both mothers and fathers. The researchers also noted that countries with “better family policy ‘packages’ had no happiness gap between parents and non-parents.” That’s probably why countries with generous laws around parental leave—Sweden, France, Finland, and Norway among them—have reverse gaps, with parents identifying as happier than their childless cohorts. In America, workers have no legal rights to paid vacation, sick days or maternity leave, and paternity leave isn’t even on the table. Couple that with the financial burden of child care in the U.S. In 2014, the annual average cost of child care for an infant outpaced a year of tuition at public colleges in 28 states and the District of Columbia, according to Child Care Aware of America. The built-in challenges of raising a kid—the long hours and exhausting demands—are compounded in a system that provides parents little to no support. The policies that helped parents the most were policies that also improved the happiness of everyone in that country, whether they had children or not. 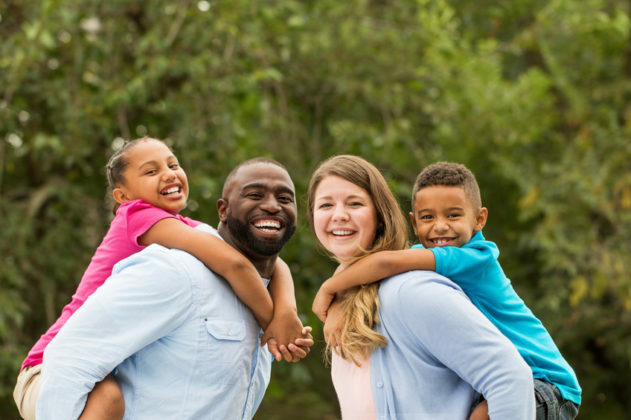 Policies such as guaranteed minimum paid sick and vacation days make everyone happier, but they had an extra happiness bonus for parents of minor children. The same pattern held even for policies such as subsidized child care, which one might assume would only benefit parents. Countries with cheaper out-of-pocket costs for child care had happier non-parents as well as parents. Another indicator that failed to make its mark? The sense that raising kids makes one’s own life more meaningful.